Wallabies coach Michael Cheika will name his squad on Thursday. THE Wallabies are unlikely to include any new faces in their squad to face New Zealand in their third Bledisloe Cup clash in Japan later this month or for their three-Test tour to Europe. Michael Cheika is set to unveil a squad of about 30 on Thursday, with the players due to fly to Japan on Saturday night, a day after the annual John Eales Medal in Sydney. While giving some newcomers a taste of the World Cup host country is tempting, the Wallabies are likely to retain the same players who finished off their Rugby Championship with a stunning comeback win over Argentina. The All Blacks this week named a squad of 51 players, with 32 primed for a clean sweep of the Australians on October 27 at Nissan Stadium in Yokohama, plus an additional 19 players for their Test against Japan a week later. Returning from injury, Brumbies centre Tevita Kuridrani and backrower Pete Samu are set to put their hands up for selection for the Vikings in their NRC semi-final in Fiji against the Drua on the weekend. The pair, as well as Reds centre Samu Kerevi, are then likely to join the Wallabies for their three Tests against Wales, Italy and England in November. That means players like Queensland Country's/Reds' Jordan Petaia and Rob Valetini (Brumbies/Vikings), who have been slated for a tour call-up, are also likely to be left out of the Japan leg while they complete NRC duties. 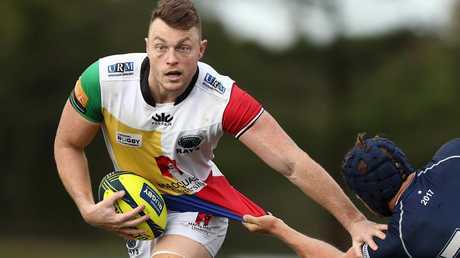 There's still a question mark over the inclusion of Waratahs backrower Jack Dempsey, who has played strongly in the NRC after returning from a serious hamstring problem. Jack Dempsey of the Sydney Rays runs the ball at Bond University. 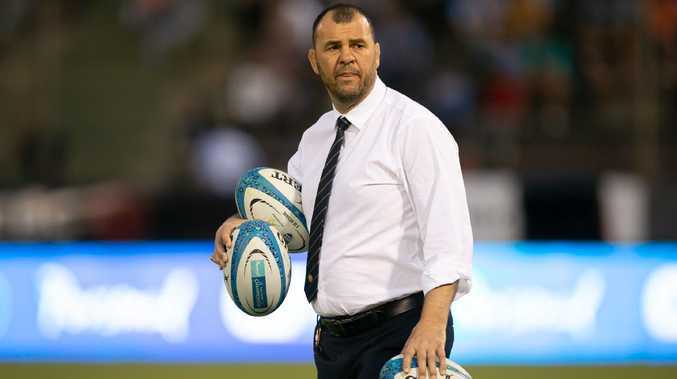 Cheika and NSW are making a call on whether he would do best out of a full Super Rugby pre-season on returning to the Wallabies fold. Backrower Lukhan Tui has already declared his unavailability for the spring tour due to family reasons. UK-based players Matt Toomua and Tatafu Polota-Nau are also unable to be selected for the All Blacks match as it's not an international Test window, although they will join the team for the Europe section. The Wallabies will remain in Japan for a week following the Test, shifting to Odawara which will be their pre-World Cup base next year a bit over an hour outside Tokyo. They will use the time to prepare for the remaining three Tests and complete some World Cup commercial and community duties.